Adams Driveshaft makes the Strongest Driveshafts in the market using only the Best Driveshaft Components made by American Companies Spicer and Neapco. Our Staff has well over Forty Years Combined in the Drivetrain Industry and we know the in's and out's of Building Driveshafts and Dealing with Vibration Issues. The Owner of Adams, and several of his employee's own Jeeps and 4x4's that they are Constantly Testing the Driveshafts they make every day on all different kinds of Terrains. 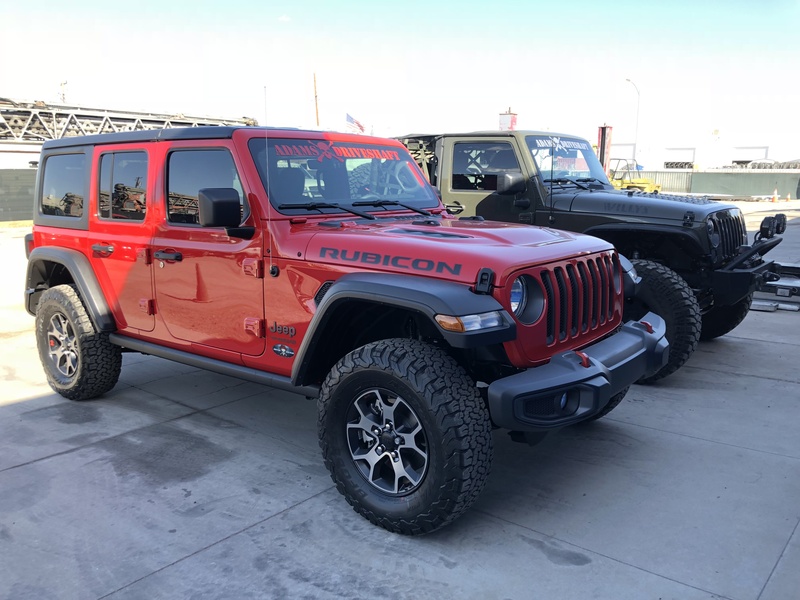 Application: 2018 Jeep JL Wranglers 2 or 4 Door Models up to 4.5" of Lift. After 4.5" of Lift we would need you to get us a measurement with the Jeep sitting at Ride height. These driveshafts are custom made so if you have altered the front or rear differentials, or transfer case's example [Dyna track Housings, TeraFlex, Ultimate 60's Housing's, Atlas T-cases, Etc] we can accommodate you. We will just need to know this Information after you have ordered.